DOWNLOAD ALBUM: Olamide - Lagos Nawa! YBNL front man and boss, Olamide Adedeji (born 15 March 1989), professionally known and referred to as 'Olamide (a.k.a Badoo), is a Nigerian hip hop recording artist from Bariga, Lagos State, Nigeria. He has finally put out new album as he unveils "Lagos Nawa" as his 7th studio album. The album comes out laced with 17 tracks and serves as his 7th project since he broke out as a pop artiste. Ever since the Rapper rose to his limelight, He is used to releasing an album each and every year as he also ends this year 2017 with a powerful album named "Lagos Nawa". The album comes after the massive success of "The Glory", his last album in 2016. "Lagos Nawa" features only Top Notch Nigerian Singers as guest appearance which includes Tiwa Savage, Reminisce, Timaya, and Phyno. The project is packed with production from his long time producer "Young John" (Except from one track). Check out the album in its entirety below and don't forget to share. 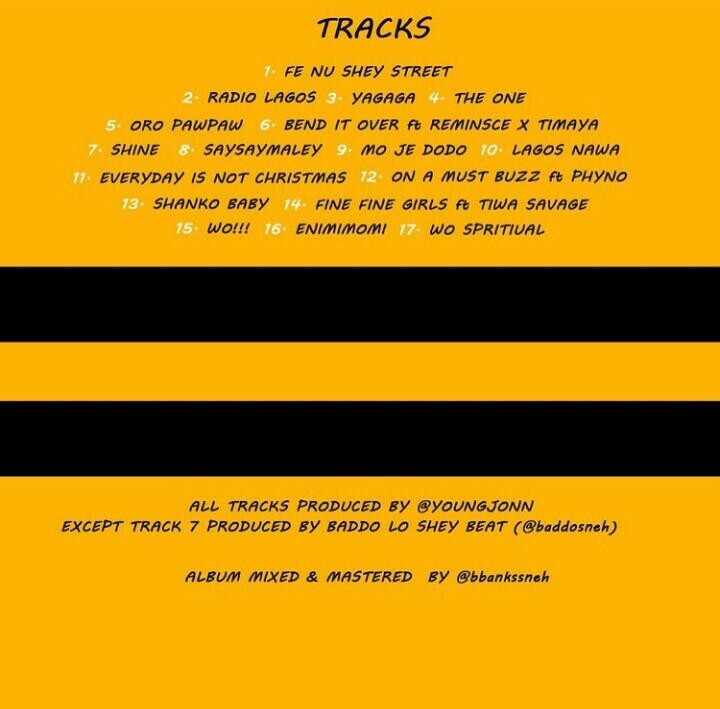 Olamide is here with the much anticipated album, Lagos Nawa, and here is another pick off the Album named 'Fenu Shay Street"'. Lagos Nawa album is a very hot and dope one, and we present to you Radio Lagos single by Olamide. YBNL presents, Olamide on her recently released album, named Lagos Nawa, here is One lovely tune from the album titled Yagaga. YBNL boss, Olamide is here with the much anticipated album, Lagos Nawa, and here is another pick off the Album named 'The One'. 'Olamide', Off his recently released Lagos Nawa album here is another beautiful single titled Oro Pawpaw. 'Olamide' is here with her much anticipated sophomore album titled "Lagos Nawa". Here is one of the dopest tracks titled Bend It Over featuring, Reminisce and Timaya. Olamide is here with the much anticipated album, Lagos Nawa, and here is another pick off the Album named 'Shine'. Off YBNL boss Olamide recently released album Lagos Nawa, here is another fresh new vibe titled SaySayMaley. Olamide is here with the much anticipated album, Lagos Nawa, and here is another pick off the Album named 'Mo Je Dodo'. 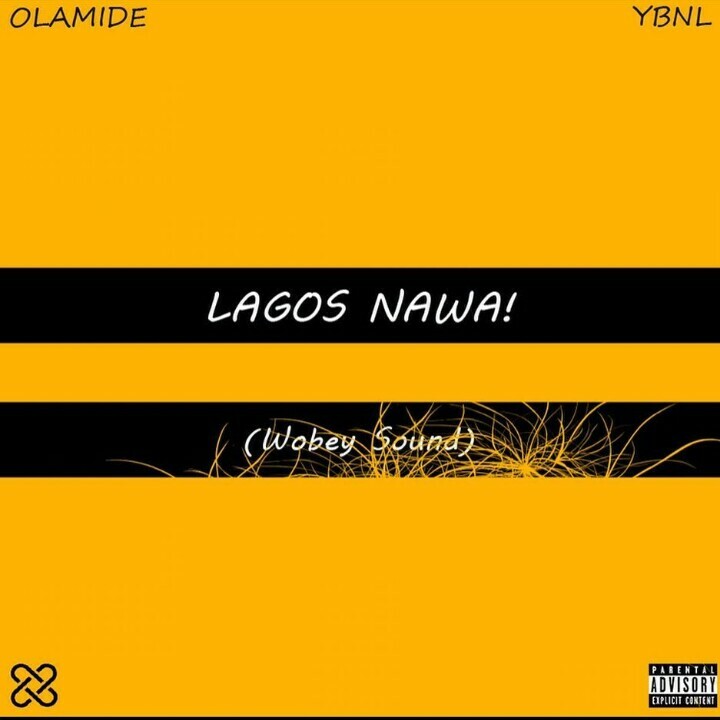 [MUSIC] Olamide - Lagos Nawa! Lagos Nawa album is a very hot and dope one, and we present to you Lagos Nawa (Which serve as the name)title for the albume) single by YBNL boss Olamide. YBNL boss 'Olamide' is here with her much anticipated sophomore album titled 'Lagos Nawa'. Here is one of the dopest tracks titled On A Must Buzz featuring, Phyno. YBNL presents, Olamide on her recently released album, named Lagos Nawa, here is One lovely tune from the album titled ShankoBaby. YBNL boss 'Olamide' is here with her much anticipated sophomore album titled "Lagos Nawa". Here is one of the dopest tracks titled Fine Fine Girls featuring, Tiwa Savage. 'Olamide', Off his recently released Lagos Nawa album, here is another beautiful single titled Wo. Off YBNL BOSS Olamide recently released album Lagos Nawa, here is another fresh new vibe titled Enimimomi. Olamide is here with the much anticipated album, Lagos Nawa, and here is another pick off the Album named 'Wo (Spiritual)'. 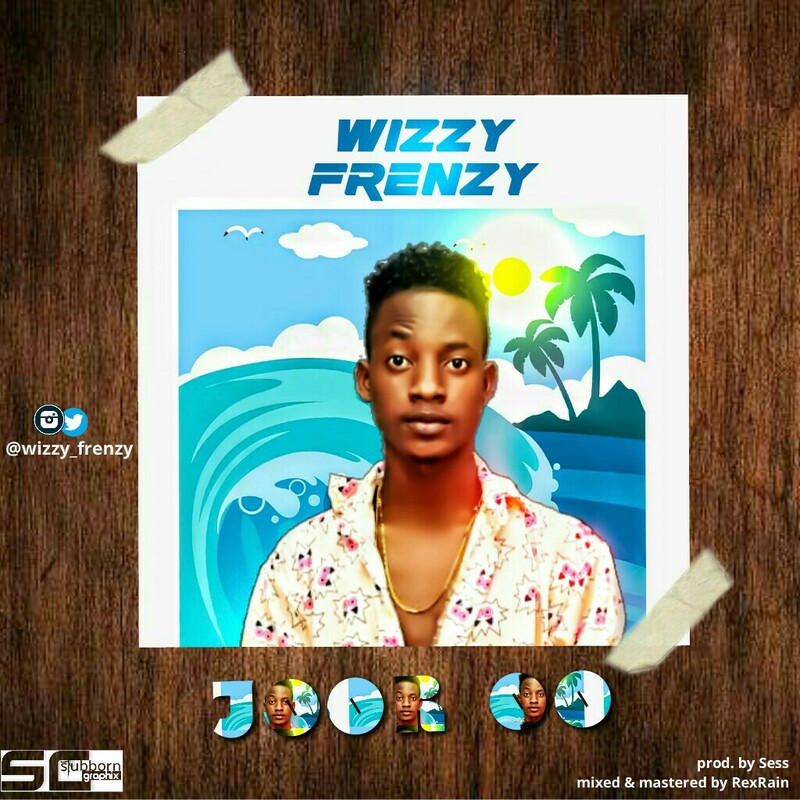 Wizzy Frenzy is out with a new tune called “Joor o”. The Nigerian singer, songwriter and performing artiste has been receiving lots of praises from fans both home and abroad as he keeps on making them groove with his dope musics. He has been trying to keep fans happy as he keeps on releasing songs like "Wizzy Frenzy - Choco Milo Ft. Kenny Mix", "Wizzy Frenzy - Eruku Ft. Dot6ix", "Wizzy Frenzy - KOSERE Ft. CDQ". This time he features no one but only himself to do justice to the beat and gives us "Joor o"
The song was produced by the super talented music producer "Sess". Mixed & Mastered by "RexRain"
Download below, Listen, Enjoy and do not hesitate to let us know what your thoughts on it are in the comment section.